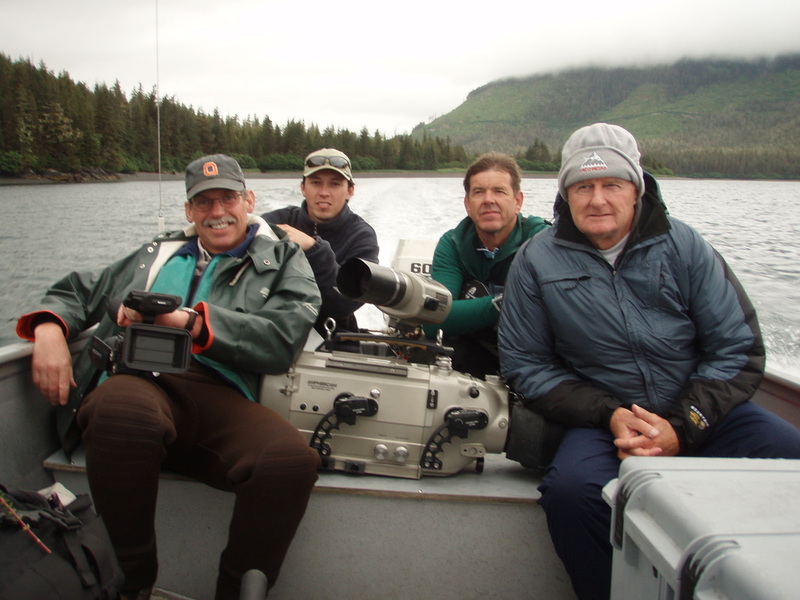 Bruce Wright encountered his first Alaska shark in 1978 when a commercial fisherman radioed Wright on the single-side-band in his Alaska Department of Fish and Game office. The fisherman reported the large "salmon" sharks distended stomach contained three whole sea lions, but further investigation quickly revealed it was a large great white shark. 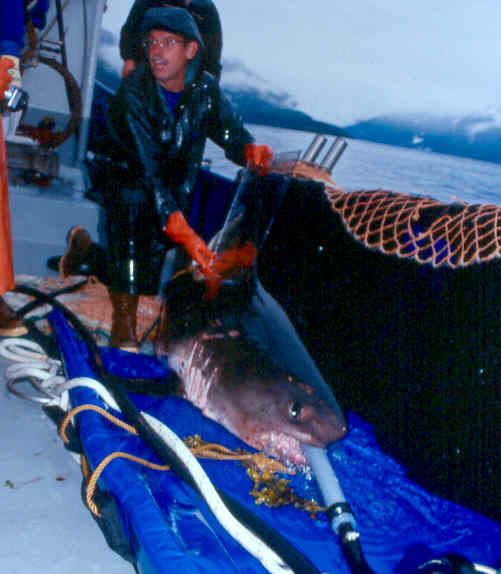 In 1998 Bruce Wright secured funding and managed the Alaska Shark Assessment Program in response to evidence of increased shark abundances in the North Pacific Ocean. Salmon shark (Lamna ditropis), and Pacific sleeper shark (Somniosus pacificus) numbers rose dramatically through the 1990s, and Wright was interested in the cumulative impact of this increase in shark biomass on Alaska's marine ecosystems. The research was designed to address shark biology, feeding ecology, multi-species interactions, and the spatial and temporal variation in shark abundance in Alaskan waters to fill a void in our understanding of the trophic importance of these animals. Shark filming teams need to work with guides and researchers in Alaska to stay safe and to assist in filming. In this photo Bruce Wright and Tom Campbell and their crew are preparing for a day in the field filming salmon sharks in Prince William Sound.